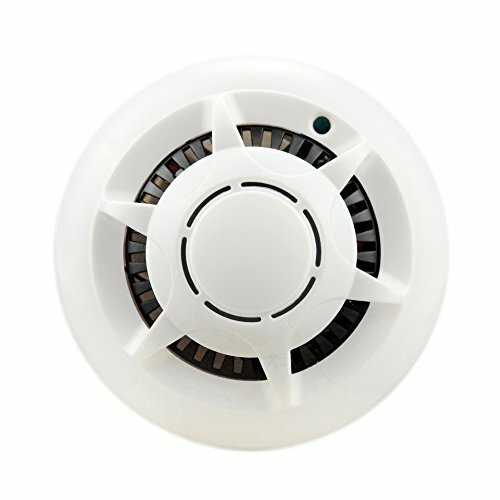 This KOAMLY Wi-Fi Hidden Camera Spy Smoke Detector is a perfect nanny camera in baby or elder care. You can use your smartphone to view what is happening in your room anywhere and anytime. 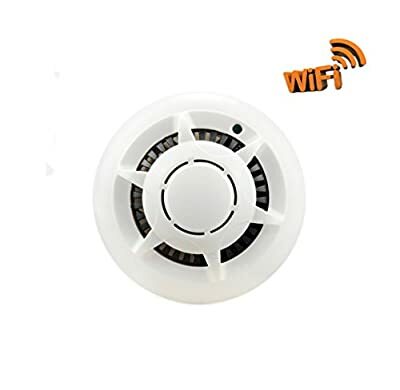 SPECIAL APPEARANCE - This KOAMLY Wi-Fi Hidden Camera Spy Smoke Detector has HD video resolution, look like as smoke detector, but non-functional. So it's not easy to find out. EASY TO USE - Supports Real-time video audio Recording; Microphone Built-in, Support Motion Detection Recording. It is easy to use due to the simple and practical user manual. It is nice in functionality and look. COMPATIBILITY MODE - Support WiFi connection and Android & iOS iPhone iPad Real-time Video Remote View, Support PC IP cam Live View. 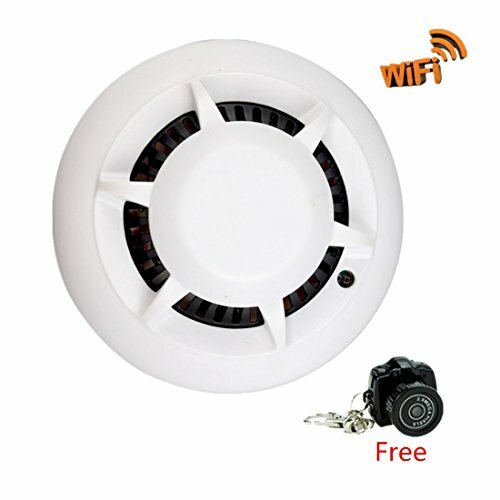 Simple to connect WiFi camera to monitor your home, shops or office via internet by your smart phone. MOTION DETECTION ALARM - When motion is detected, the camera will start recording automatically. 120 degree angle lens+ video compression format. QUALITY GUARANTEE - KOAMLY Wi-Fi Hidden Camera Spy Smoke Detector comes with 100% Lifetime warranty, believe our quality and deserve to buy!